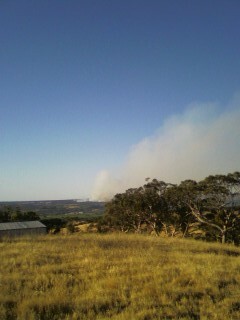 A bushfire is burning approximately 12 kilometres away as I type. It’s 20:10pm and luckily cooling down. 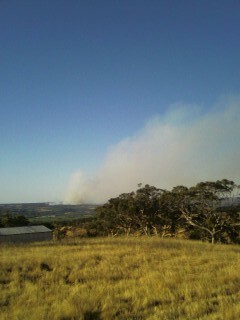 It’s the nearest a fire has been to our farm in the 2 years that we’ve been here. I have to say, it’s not a nice feeling to get an email at work (I subscribed to CFS media releases) that tells you that something wicked is on the horizon. When you can picture the location and the exact houses under threat, you really really feel for those (animal and human) who can’t get back to their homes tonight. 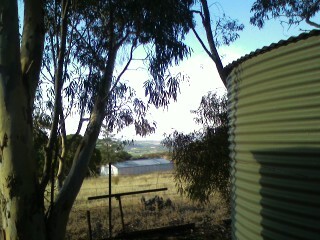 Here are some photographs from a few hours ago, from the back of our chicken sheds. 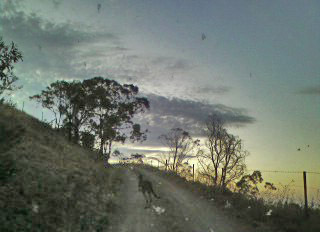 Even the kangaroos were extremely skittish tonight as the smell of burning bushland hung in the air. A giant orange moon rose behind the hills. 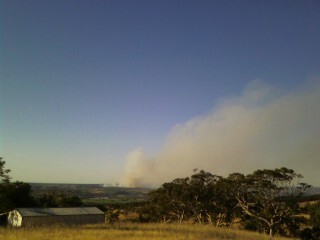 At one point I thought it was the glow of the fire, until it sneaked a peek over the hilltops. 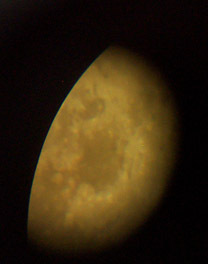 I was so excited to have a tree-free view of the moon that I wrestled the telescope into the yard. It’s a bit awkward, sort of like trying to cuddle a dalek. (even destroyers of the universe need a hug). Although I had a sucessful moon photographing moment this time last year – (in fact – spookily nearly to *the* day!) tonights wasn’t as sucessful, infact you can even see the telescope lens. How amateur. I’ll never make an astronomer. I was raking leaves and looking at the ground exactly when the recent meteor went through the skies. I’m a cosmic failure.